In the peaceful and tranquil Boskloof valley lies the unspoiled Bovlei guest farm, surrounded by the majestic Krakadouw and Cederberg mountains. Bovlei is located a mere 10 kilometers from Clanwilliam. Bovlei has been in the same Nieuwoudt family for several generations, all farming with citrus and therefore many valuable memories have been created under the giant oak trees, around the fireplaces and on the lawn in the shade of Toringkop. Next to the old farmhouse is an old mill yesteryear used by the farmers of the kloof to mill flour for bread. For more information, see �Mills of Southern Africa� by Chester O. Staples. The spectacular scenic beauty of the flower season is available all around the farmhouse, but guests can also explore Lamberts Bay, Wupperthal, Namaqualand and Clanwilliam where several water sport facilities are available. The well known hiking trails (1/2/3 days) to Toringkop, Krakadouw mountains, God�s Window and the Biedouw valley start at our front door. Self catering accommodation at Bovlei in the 100 year old farmhouse offers 4 double rooms plus the extra option of a separate 2 bedroom flat. It is an ideal getaway for more than one family for a relaxed and peaceful outing. Other than gorging on life�s good things, Bovlei offers you swimming in the Jan Dissels River or a hike across the river to God�s Window at Platberg. You may be the lucky one to spot the leopard or even just its footprints. The Boskloof Valley is rich in bird life � in the area 76 different bird species have already been spotted. 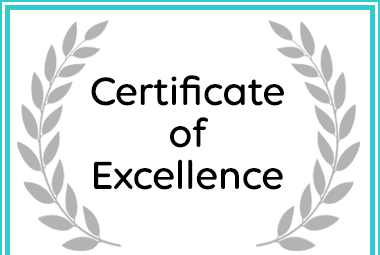 Bovlei Guest Farm won a Certificate of Excellence Award for Clanwilliam Self-Catering on Afristay.